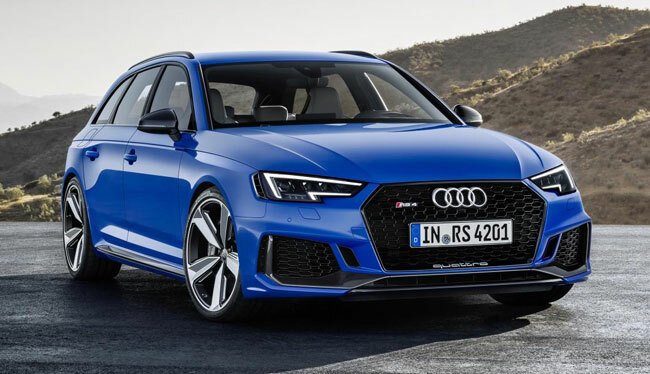 The Audi press release said the new RS 4 Avant arrives in Ireland, while the last paragraph said it will be available to order in late 2017. So with some joined-up thinking I decided it is safe to say that the fourth generation of this model will go on sale here early next year. Audi has announced an on-the-road price starting from €102,350. If the price does not take your breath away, Audi promises that the combination of driving performance with accessibility for everyday use is breath-taking. The German carmaker says that the new RS 4 Avant’s newly developed 2.9-litre TFSI engine delivers a balance of both torque and efficiency. From 1,900 to 5,000 rpm, the V6 twin turbo sends a powerful 600 Nm of torque to the wheels, which represents 170 Nm more than its predecessor.